Purchase this product now and earn 30 MountainPoints! 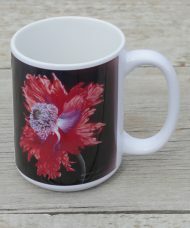 Large 15 0z mug for that morning tea or coffee, dishwasher and microwave safe. Anglers of all ages delight in this brook trout mug from artist Bern Sundell’s painting. This original design is produced in Ennis, Montana. Large 15 0z mug for that morning tea or coffee, dishwasher and microwave safe. 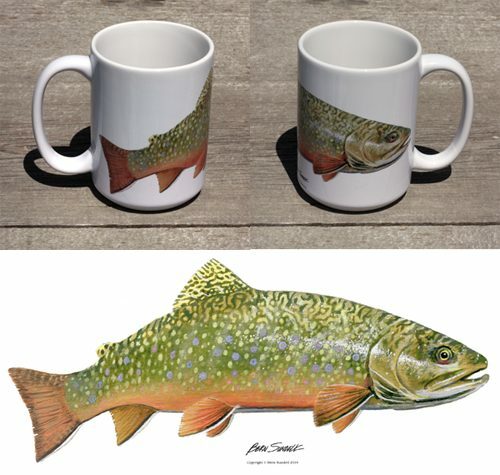 Anglers of all ages delight in this brook trout mug from artist Bern Sundell’s painting. This brookie is a full wraparound image, and the good news is you can also buy a rainbow trout, brown trout, and cutthroat trout to complete the set for your favorite fly fisherman! This original design is produced in Ennis, Montana. We are registered with the official Made in Montana program and the mug comes with their exclusive sticker. Please allow two weeks for us to create your mug before shipping, although we may ship earlier depending on our workload.